The Gruffalo :Book Now ! The scintillating Lyric Theatre is all set to entertain the viewers of London Westend Theatre with the remarkable enjoyable London show Gruffalo! The brand new London musical is a complete treat for theatre lovers as it has all the ingredients to make the show a loveable experience for the audience. 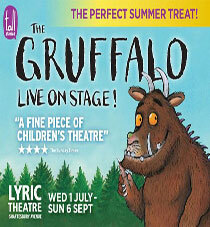 The best way to enjoy this brilliant London musical is with advance booking of tickets of the Gruffalo London show. The enthralling London show The Gruffalo is on tour nationally as well as international from the year 2001. The feel good London show has been adapted from the best selling picture book by author Julia Donaldson and Axel Scheffler. The show has stolen hearts of millions of theatre lovers and has performed brilliantly with world wide acclamation. The BBC Radio 2 listeners have also adjudged The Gruffalo as nation’s number one. Adapted from the award winning book, the show has been also released on the small screens on the Christmas Day. It was a huge star studded event on BBC 1! The adventurous journey of mouse is simply thrilling and rocking through the darkwood. To make the show an enjoyable roller coaster voyage, you will meet the wheeler dealer Fox, eccentric Owl and a party crazy Snake. The little mouse used to scare the hungry animals with the terrifyingthe Gruffalo. But things become interesting when Gruffalo comes face to face. Gruffalo has been attained huge critical as well as massive acclamations. The show has been regarded as charming, laugh riot and monstrous fun by media, critics and theatre lovers. The 55 minutes show has no interval and will mark its opening on 20 November 2012. 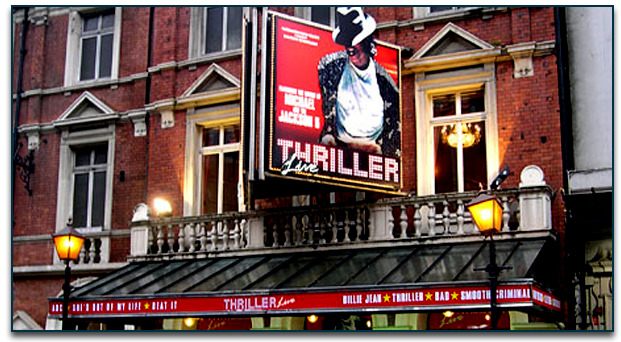 The mesmerizing London musical is a complete delightful experience for theatre lovers of all age groups. The spectacular production by the Tall stories is simply awesome making the show a completely delightful experience for the theatre lovers. 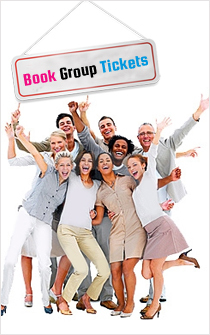 So, have a great time with your family and friends with enjoyable London show Gruffalo!